LID-certified development could be a powerful tool in stopping storm-water runoff at its source. 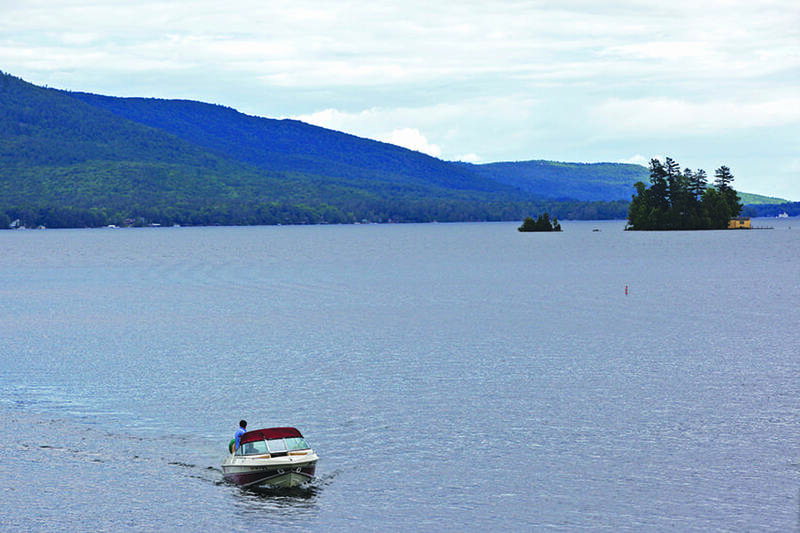 The Fund for Lake George has developed a low-impact development (LID) certification that, if widely adopted, could significantly reduce one of the greatest threats to water quality—storm-water runoff—by stopping it at its source. And in a region dependent on its three thousand lakes and ponds for their recreational value—and sometimes drinking water—that seems like a program we all should get behind. Using a hundred-point scoring system across five categories—protect, build, restore, maintain, and innovation—the certification encourages development that maintains the natural landscape to mitigate runoff. It is designed for public and private development projects—new or redevelopment— and has already been endorsed by the Natural Resources Defense Council, the Town of Bolton, the Village of Lake George, and the Lake George Park Commission. This design approach uses what exists naturally to reduce runoff by preserving slopes, soils, and trees, which act as buffers and sponges, rather than clear cutting and removing topsoil; by reducing paving and reducing driveway lengths and maybe even sharing driveways; and by building smaller footprints. The certification, which is voluntary, also suggests best practices to restore a landscape with rain gardens and vegetation to treat storm water. All of these things may require more planning on the design end of a project, says Lake George Waterkeeper Chris Navitsky, but can reduce costs in the long term. “If we take that type of mind-set to our site designs, we can reduce costs and make the property more aesthetically pleasing and more ecologically compatible with the natural landscape,” Navitsky says. Now all the program needs are the kinds of incentives— savings or tax breaks—that encourage widespread adoption, much like has happened with the Leadership in Energy and Environmental Design (LEED) certification program, which has ninety thousand commercial and residential projects participating, according to the most recent numbers from the U.S. Green Building Council. The program is based on one out of Washington state, which offers tax incentives to LID-certified projects. Navitsky said that idea is preferred to attempting to regulate projects. This is a challenge, says Fund for Lake George Executive Director Eric Siy, because in order to offer tax incentives in New York State, local municipalities need enabling legislation from the state. For that reason, Siy’s organization is looking at alternative pathways to keep the momentum going. For now those incentives are to make sure people understand the impact clean water has on their property values. A 2016 study, “The Value of Lake Champlain” by the Rockefeller Center at Dartmouth College, showed clean water would increase significantly the selling price of single-family and seasonal homes. “If there is a system that can curb the problem and reduce impacts on water quality, those will have direct benefits over time,” Siy says. To date, two projects have been LID certified, a parking lot in the Town of Bolton and another behind the YMCA at Silver Bay. The Fund for Lake George is also talking with the Town of Bolton and Village of Lake George about becoming two of the first LID-certified municipalities in the region. Helping these communities become LID certified—and providing tools to analyze and measure the difference LID can make in projects that come before them for approval— will encourage homeowners and designers to seek certification. Being LID certified could also help projects move through planning approval more quickly in these communities. So we hope the State of New York, which recently showed its concern for a clean Lake George (with a $4 million grant for a new wastewater-treatment plant for the village), will invest in this program, a model for encouraging smart development. The state has encouraged this type of development in the Hudson Valley and other regions with grants to projects that are examples of green infrastructure. Designers, homeowners, and commercial developers also should look into LID certifications for their projects, knowing the impact LEED has had on green building and energy efficiency. LID certification can be a powerful tool—if we use it.